Epic added a regular game mode for those tired of dying to zombies. Epic Games has re-enabled the regular Squads playlist on Fortnite: Battle Royale. The company announced it late last night on the game’s official Twitter account and added that the new glider re-deploy mechanic is also enabled. This comes three days after Epic added the AI enemies Cube Monsters and Spanws to all Fortnite’s Solo, Duos, and Squads matches. They are part of the temporary Halloween event Fortnitemares that will go on until Nov. 26. That is when all game modes are expected to be free of these additions. The regular Squads playlist is Battle Royale in its pre-Fortnitemares state. No monsters, no cube fragments, and no distractions besides other human players. But the Fortnitemares Squads mode is still available as well. 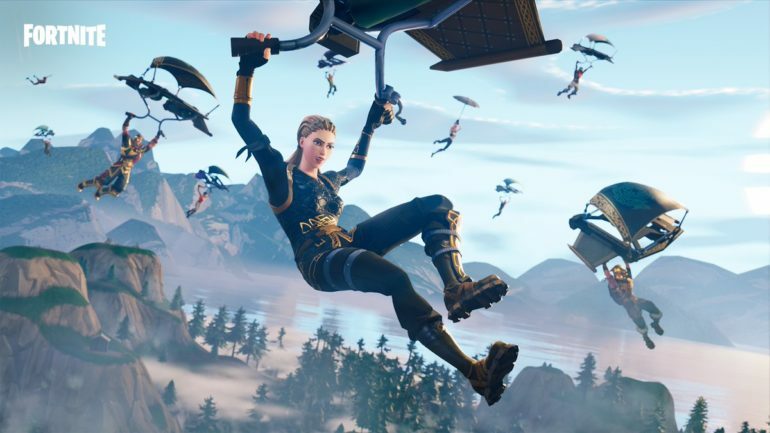 Some players went to Reddit to praise Epic for its decision to add Squads back. A user said “there were just too many zombies spawning in the final circles” of the Squad mode, which was probably affecting the performance of players in the endgame. Others said that Epic’s decision shows that the company listens to player’s feedback. The regular Squads mode will eventually return to the game after the Fortnitemare event ends, as will the Solos and Duos. Epic has not mentioned if it plans to bring back all regular modes during Fortnitemares. Epic’s decision to add this game mode back might calm down the angry player base that already can’t stand dying to zombies.